Navratri, 2018 will commence on the 10th of October 2018 and conclude on 18th October. This most auspicious and popular festival, which is dedicated to the Navdurga or Nine Forms of the Divine Mother Durga Mata is celebrated all over Indian with all kind of festivities, like the Garba Folk Dance. Devotionally minded people will worship the Mother Goddess, especially all her nine forms on the days, which are dedicated to each of these forms. 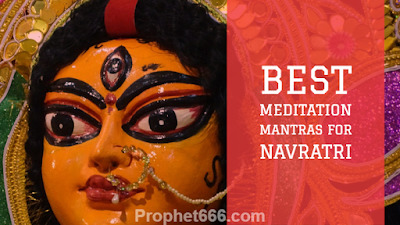 Spiritually inclined people will chant the various Mantras and Stotras dedicated to Durga Mantra and the Navdurga, like the Navdurga Stotra and the Navdurga Raksha Mantra. Navratri is especially important for those Sadhus who are engaged in all kinds of Sadhanas, including those related to Gaining Supernatural Siddhis, Vashikaran, Destruction of Enemies and Gain of Wealth and Money. There are many Mantra and Yantra Sadhanas and Prayogas that can be performed during the period of Navratri as this period is said to be most effective for gaining all kinds of Siddhis, including Satvik, Rajsik and even Tamsik Siddhis. The commonly chanted Japa Mantras dedicated to each of the nine forms of Durga Mata are given below along with their English translations. 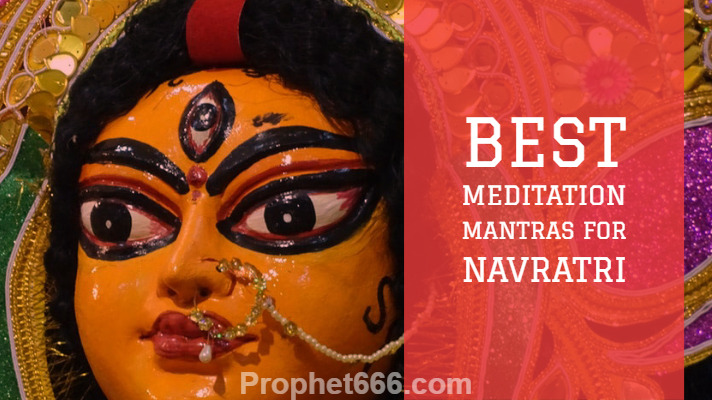 These are considered to be the Best Mantras for daily Meditation on the Navdurga on each of the nine unique days of Navratri. After the conclusion of Navratri, Dussehra will be celebrated on the 19th of October and in a few days time we will be celebrating Diwali from the 4th to 9th of November 2018. Wishing all Subscribers, Readers and Well-Wishers of this site a most happy and prosperity Festive Season. सप्तशती का पाठ करते समय यदि अर्गला स्तोत्रम पढ़ें ,तो विवाहित व्यक्ति इसके २४वें श्लोक (पत्नीं मनोरमां देहि ....कुलोद्भवाम )का पाठ न करे,अन्यथा वैवाहिक जीवन में अशांति आ सकती है .